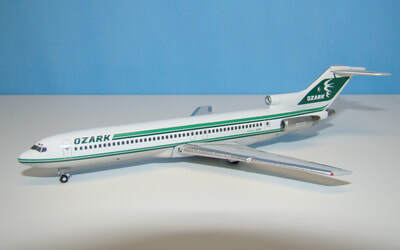 Ozark Air Lines was one of the more successful and profitable of the local service airlines and following deregulation built a strong hub at its St Louis base. This of course only made it all the more attractive during the 1980s merger mania and despite its own frailty TWA bought it up. 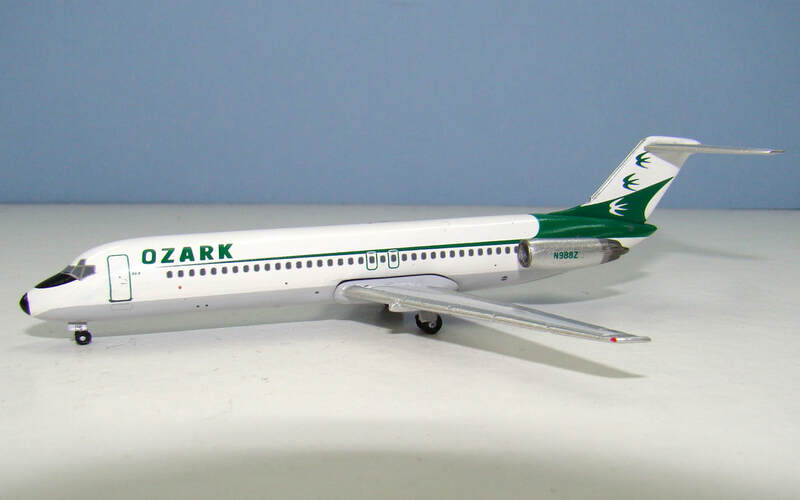 Nonetheless the 'Three Swallows' of Ozark served the USA well for over 40 years. 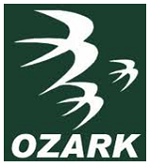 ​For the genealogy of Ozark please see here. 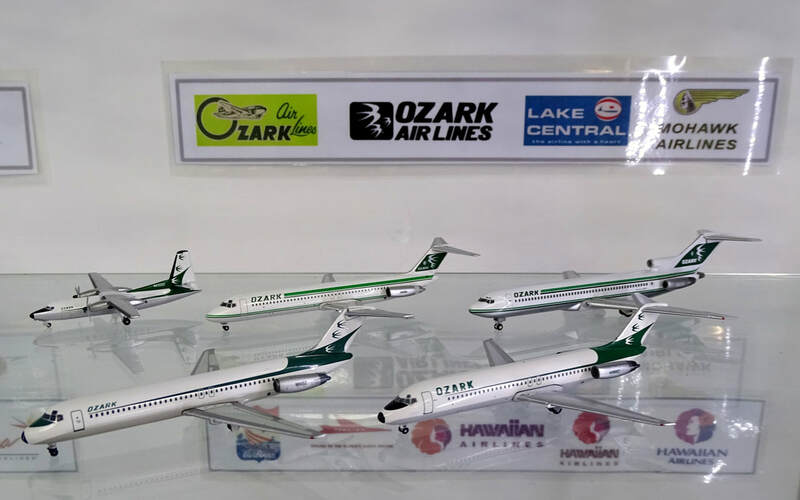 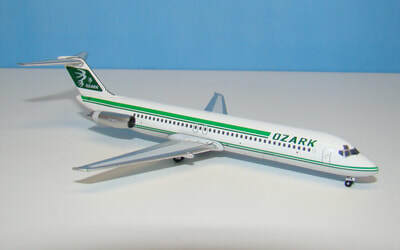 Ozark has not been well represented in 1:400 with precious few releases and one of these representing a plane that never entered service. Nonetheless 2018 has seen an upturn in releases with 2 lovely new models from Aeroclassics. 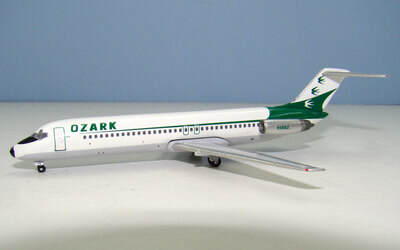 I own 5 of the 7 models made in the OZ colours. 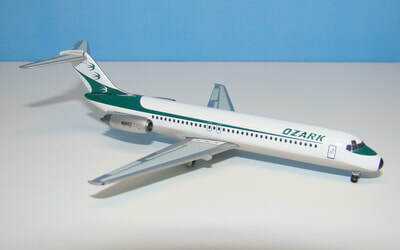 I only purposely miss the old decaled FH-227 and screw bottom DC-9-10 from Aeroclassics. 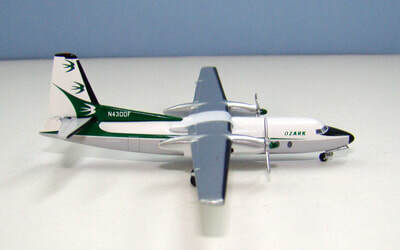 Both the FH-227 and short Nine could do with new models whilst DC-3s, CV-240s, Martin 4-0-4s and other F-27 schemes all deserve attention. There is also plenty of scope for more 1980s Ozark with DC-9-30s and an MD-82.